Unlike with Flight 370, there has been no sign that anybody on Flight 8501 intentionally disabled any onboard systems, meaning that investigators should have the normal automatic transmissions from the flight to help the search. Flight 370 disappeared on a clear night, while Flight 8501 was believed to have encountered stormy weather, with weather agencies having reported lightning strikes along its route. The AirAsia pilot's last communication with air traffic control was a request "to avoid clouds by turning left and going higher to 38,000 feet." Flight 370's pilot was very experienced, with more than 18,000 hours of flying time, while the combined experience of Flight 8501's pilot and co-pilot is believed to be less than half that. Neither Flight 370 nor Flight 8501 issued an emergency distress call, but, as the AP notes, "pilots are trained to focus first on the emergency at hand and then communicate only when free," and there's no sign that the AirAsia flight diverted sharply from its intended course the way the Malaysia Airlines flight did. Another major difference is the search area for Flight 8501, which is much smaller and shallower than the vast area that has been searched for Flight 370. "We are not talking about the deep Indian Ocean here," says CNN aviation correspondent Richard Quest. 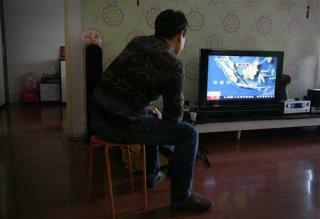 "We are talking about congested airspace around Southeast Asia. There will be much better radar coverage. There's certainly better air traffic control coverage."